Music software developers Zynaptiq will be previewing two new audio plug-ins at Musikmesse 2016. They appear to have a similar style to the GUI and always seem to be in CAPS but otherwise I don’t think they are related. 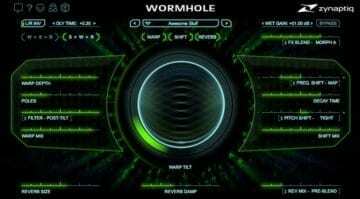 ADAPTIVERB is a “harmonic tracking resynthesis reverb” and WORMHOLE is an “otherworldly audio effects processor”. 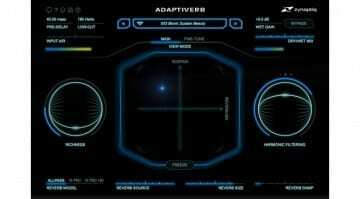 Apparently ADAPTIVERB is revolutionary because it doesn’t use reflections in its reverb modelling, instead it uses ray tracing and adaptive similarity filtering along with an AI technology similar to that used to enabled driverless cars to avoid crashing into things. What that has to do with reverb is anyone’s guess. 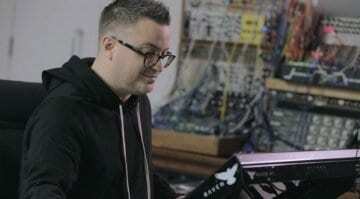 But they say it allows them to create lush spaces, smooth drones and far our places without all the usual muddiness or distancing of traditional reverbs. It’s probably the sort of thing you need to listen to in order to appreciate it. 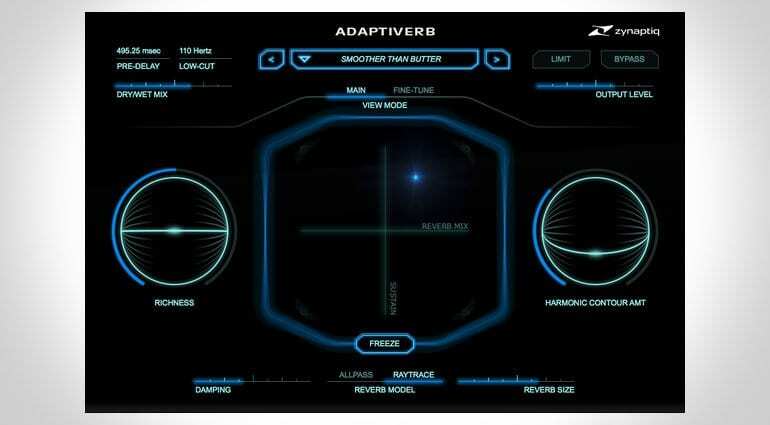 I am loving the Tron style look of the interface though. 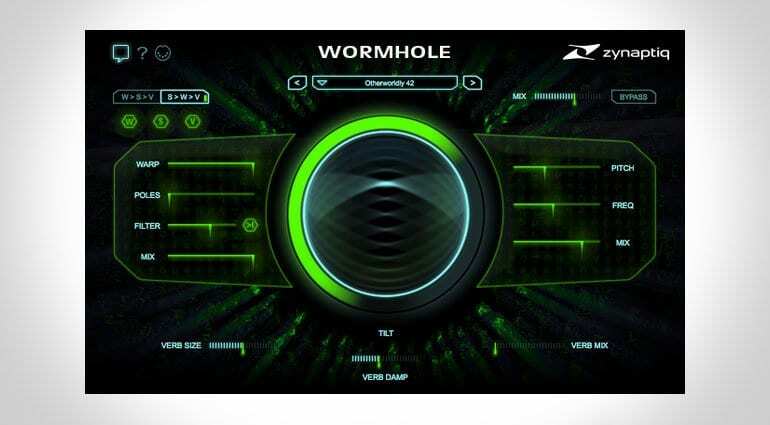 They say that WORMHOLE offers some unique sonic characteristics by combining an eccentric spectral warping section with a lush reverb and a precision engineered processor that integrates pitch and frequency shifting into a single process. Isn’t pitch and frequency a function of each other? Anyway, that all sounds terribly exciting and they say it’s capable of creating sounds along the lines of alien voices, surreal ambiences, space-ship drones and other weirdness. The GUI looks similarly awesome. 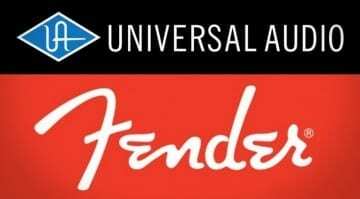 No news on pricing yet but they should be available soon on OSX and Windows, VST, AU, AAX and RTAS.